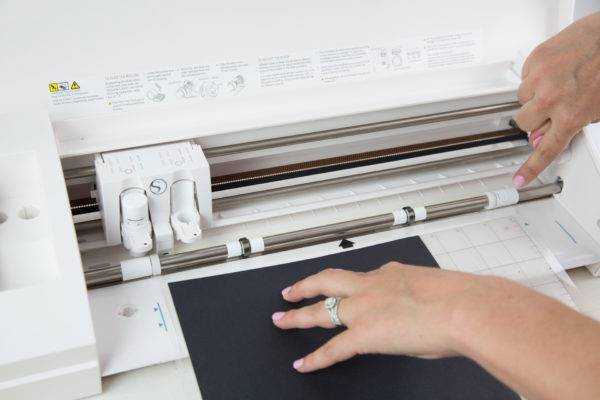 Silhouette’s machines have the ability to cut materials with an adhesive backing. 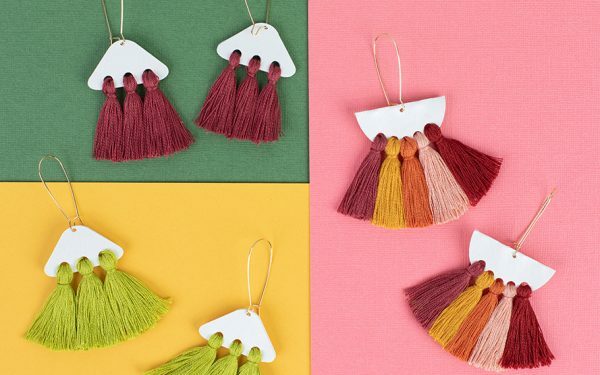 This makes creating your paper-related projects super easy because you can cut what you want, and then it’s ready to go. 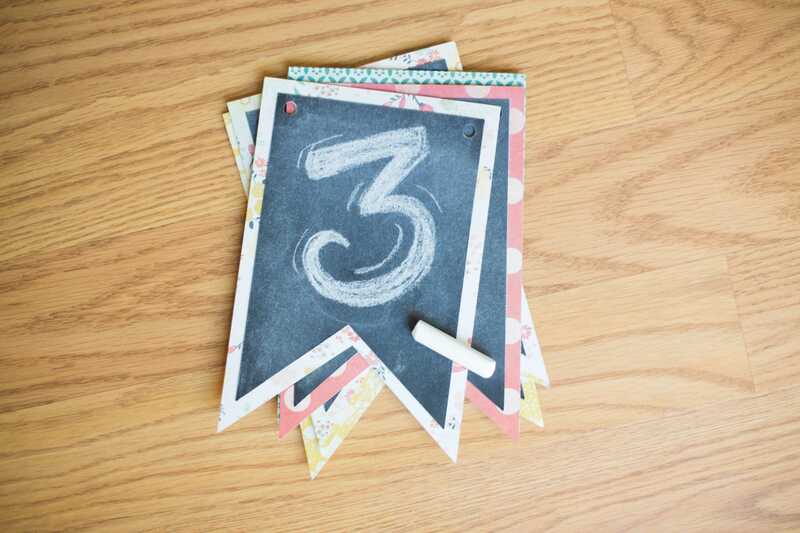 Follow the steps below to see how we created these pennant banner pieces with our chalkboard cardstock. 1. Open the design in Silhouette Studio®. 2. 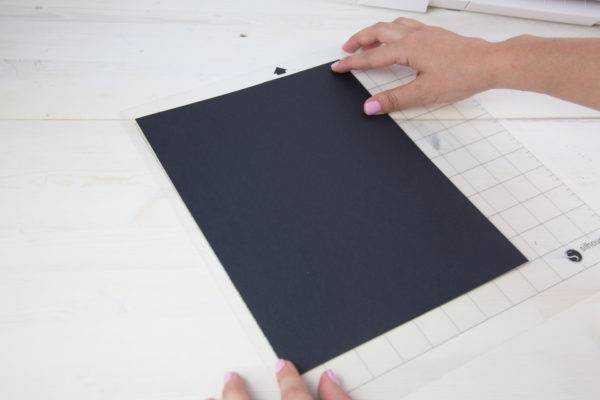 Place the adhesive-backed material (in this case, chalkboard cardstock) on your cutting mat. 3. 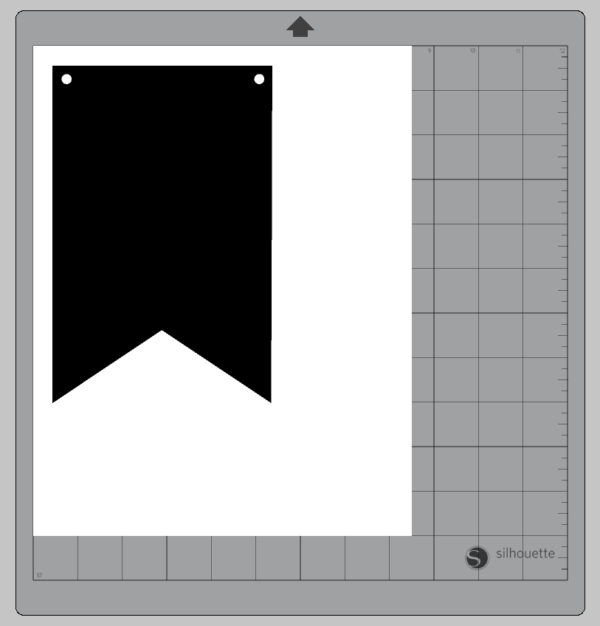 Load the cutting mat with the material into your Silhouette. 4. 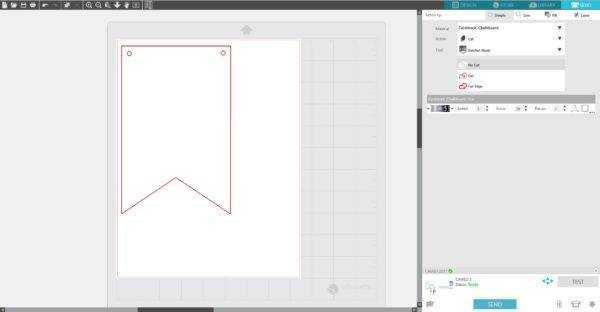 Select your media in the material drop-down menu in the Send panel, manually adjust your blade accordingly (unless you use an AutoBlade), and proceed to cut out your design. 5. After your design is cut, remove the project from your Silhouette and carefully pick up the pieces of your design. 6. Apply the design to your project. 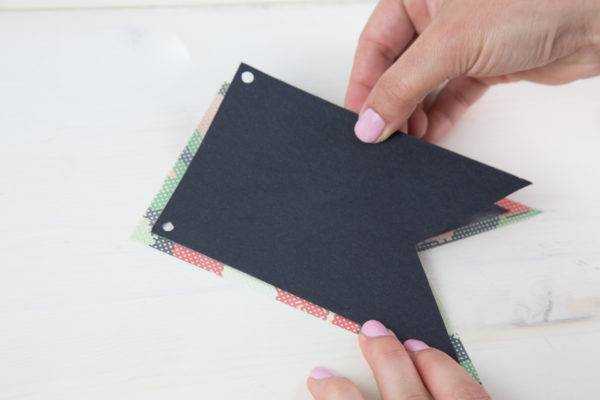 As you can see, material with an adhesive backing is really easy to cut and place, and that makes it perfect for any paper project you are working on.